A recent article entitled “Christians war on Halaal” – published 01 April 2018 – made certain claims pertaining to the Halaal certification Industry in South Africa and gross misconceptions on Islam. The following article is meant to debunk these misconceptions and educate the non-Muslim community on the role of Halaal certification on the economic development of our country. Ḥalāl (حَلَال) is an Arabic word, which is a comprehensive religious concept, literally meaning “lawful or permissible” that encapsulates and governs the entire lives and lifestyles of Muslims from before birth till death and into the grave; and whatever Muslims consume, duly derived from the earth and on the farm, to the hand, to the stomach, including other consumables, production, processing and manufacturing. Ḥalāl is inextricably incorporated in the religious concept of ṭay-yib (طَيِّب), which means good, wholesome and nutritious. In other words, an ḥalāl-approved commodity, consumable or liquid should have the status of being uncompromisingly hygienically-clean and healthy; not contaminated, not adulterated and it is wholesome, thus fit for Muslim consumption. Why must animals be slaughtered in order to be Halaal compliant? The primary principle for slaughtering animals is to allow the blood to flow out of the animal. This process also allows for diseases and ailments to be removed from the animal as well. There are various scientific studies that attest to this. Do Muslims sacrifice the animals to a Muslim God/s? Islam is a monotheistic religion and the core belief in Islam is to attest that Allah is the one true God of Prophet Moses, Prophet Jesus and Prophet Muhammad (peace be upon them all). Islam is vehemently opposed to Idol worship. When slaughtering animals, Muslims are conscious of the fact that the healthy animal (now being sacrificed to feed humanity), was put on this Earth as a blessing by Allah. Muslims are therefore grateful for this blessing and, in gratitude, acknowledge Allah when performing the slaughter by praising his name. Is Halaal certification a religious tax? Halaal certification is not a religious tax. The only tax in Islam is Zakaah. Only Muslims are obligated to pay Zakaah on an annual basis from the wealth (2 ½ percent) that they have accumulated. This money is then distributed to the poor. Is the cost of Halaal certification passed down to the consumer? Halaal certification does not increase the price of products. Certification costs are negligible and there is no charge passed on to the consumer. Where does the money from Halaal certification go? The money from Halaal certification is ploughed back into the Halaal industry. Does the Halaal industry fund terrorist groups? No! Halaal certifying bodies have never and will never fund any terrorist organization. Islam is against terrorism of all forms and promotes peace. Even our greeting means, “May the peace and blessings of God be upon you”. Furthermore, the Quraan specifically states that there is no compulsion in religion and hence we cannot force someone to convert to Islam. Are all products in Supermarkets Halaal and does Islam force a non-Muslim consumer to buy these products? 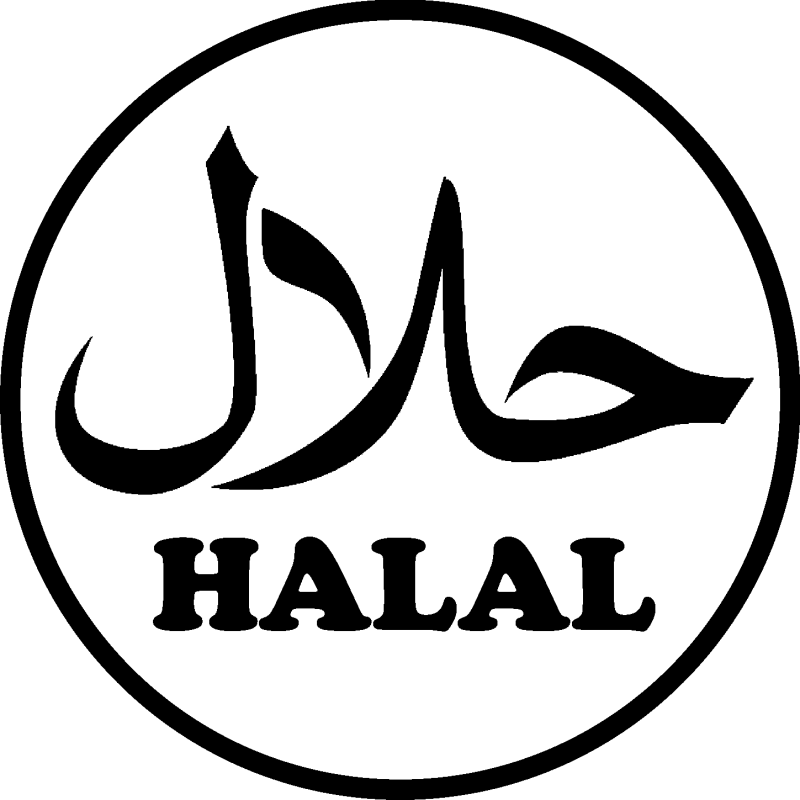 Many products in supermarkets display the Halaal sticker, however, there are also many products that do not display the sticker, which means that they are not Halaal certified. Many supermarkets have in-store butchers with separate Halaal and non-halaal sections. If a consumer wishes to purchase products without a Halaal logo, there are many alternatives available. Furthermore, the MJC Halaal Trust can confirm that on average 80-90 percent of companies who seek certification are non-Muslim and employ non-Muslim staff. What does the Halaal industry contribute to the South African economy? There is a growing demand for Halaal products/services within South Africa – an industry encouraged by the Department of Trade and Industry. Job creation – Halaal certification doesn’t mean the person who is involved in the production, manufacturing or processing of Halaal products need to be Halaal. E.g. In the Tourism industry, for every 8 tourists who visit South Africa, one citizen is employed. Many tourists have chosen South Africa as their destination because of its booming Halaal industry. Furthermore, South African companies have secured contracts outside of our borders for Halaal products to the value of millions of Rands which grows our economy, in terms of trade exchange.